"Whenever I get gloomy with the state of the world, I think about the arrivals gate at Heathrow Airport. General opinion’s starting to make out that we live in a world of hatred and greed, but I don’t see that. It seems to me that love is everywhere. Often it’s not particularly dignified or newsworthy, but it’s always there – fathers and sons, mothers and daughters, husbands and wives, boyfriends, girlfriends, old friends. When the planes hit the Twin Towers, as far as I know, none of the phone calls from the people on board were messages of hate or revenge – they were all messages of love. 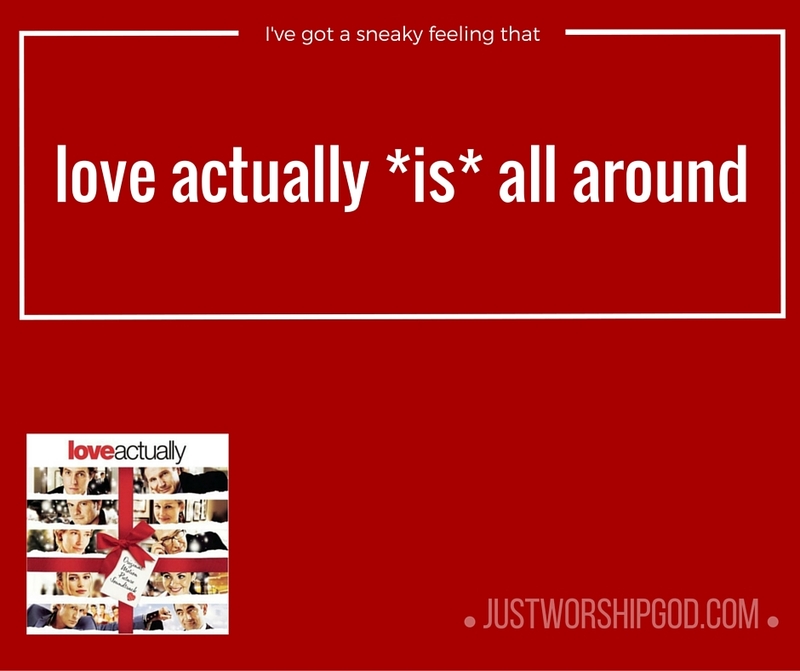 If you look for it, I’ve got a sneaky feeling you’ll find that love actually is all around." Love Actually appears to have quickly become a Christmas classic for some people. Whilst there is no doubt that it divides opinion (is it simply a feel good reflection of people's Christmases or emotional schmulz?) it does raise a somewhat interesting question and that is do we live in a world dominated by love or something else? What is it which lies at the heart of the world we live in? For some people there is nothing which lies at the heart of our world. It came from nothing, it will return to nothing and what happens in between is nothing more than what happens. Love happens because some people choose to love but in the same way some choose to hate, some choose to be angry, some choose to use people. Life is a random mix with nothing at its centre. For others the world is hard and grim. It is survival of the fittest and so life is fundamentally a survival challenge. It is often tough, the world is often hostile and we have to battle through it as best as we can. Find the little pockets of happiness we can whenever and wherever possible. Love may provide some of these pockets but it is equally likely to provide much of the hostility and hurt we so often experience. 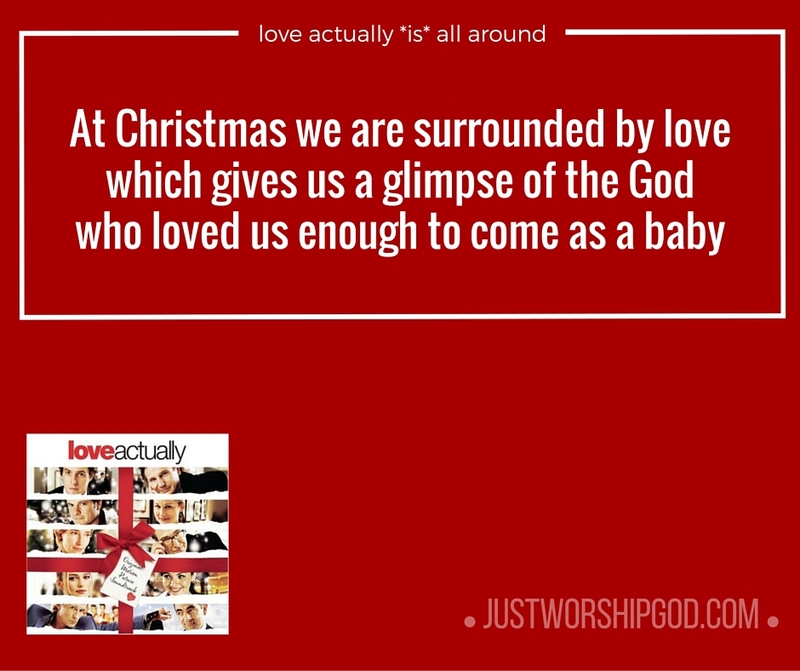 Love actually is clear what it thinks. The dominating thing in our world is love. You don't have to look hard to see it and it is that which repeatedly flows out of us. Our natural desire is to love. Now much though it may pain me to say it the Bible agrees. The heart of humanity is love and it is love for one very specific reason. The heart of humanity is love because we were made in the image of a God who is himself love. The Bible could not make it any clearer - People love because God loves. Now anyone can say they love someone but God is a God who actively loved us. That is what Jesus coming to earth is all about. It is about a God who loved is enough to come into this messed up world as a baby and ultimately die so that we could be welcomes into God's perfect family of love. Broken though humanity is it keeps reverting back to the image in which it was made. We cannot help but express love and if you look around you I guess Love Actually is right you really do see it all around you. 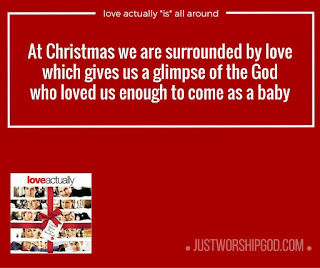 So it is right that at Christmas we repeatedly are surrounded by love - We send messages of love, we watch films about love, we spend time with people we love because as you catch a glimpse of the God who loved you enough to come as a baby it is not surprising that love is at the heart of our celebrations.